Is a right to shelter included among our human rights? Something we’ve talked about a lot over the history of the show is Locke’s premise that the basic human rights are those of life, liberty, and property. However, at request of one of our Patrons, we’re exploring the idea of a right to shelter to see where if at all it fits in among those. And then we take it a step further. If housing is a right, does society have a responsibility to provide housing for those in need or does that simply mean you can’t be prevented from having housing? Is that a right that should be fulfilled by the government or is there another solution? If that right didn’t always exist, can it exist now that some sort of housing is essential to being integrated into society? 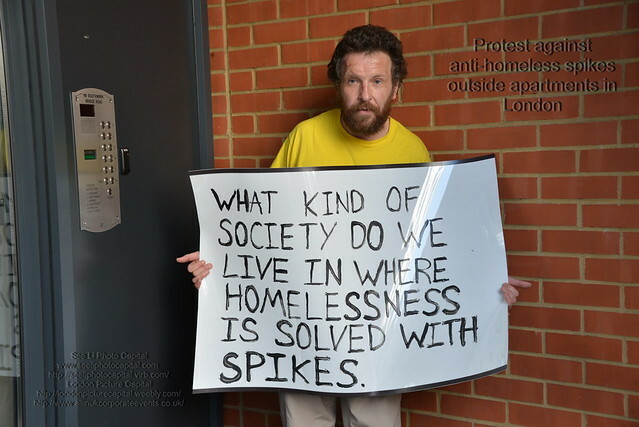 So we were going to aggregate some resources for you, but in our attempts to do that, came upon a great resource for finding homelessness charities in your area. Check out National Coalition For The Homeless and support ending homelessness near you.